Ok, so I have a confession to make . . . 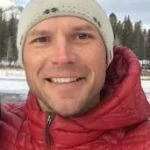 I am not a meterologist, but Brad Panovich is! I might have been a little too amped/overzealous about yesterday’s forecasted snowfall amounts. I guess, sometimes, we all get it a little wrong. Hey, even a broken clock though is right twice a day! Here’s what really happened . . .
WV saw 1-2″ yesterday . . . light snowfall amounts today. 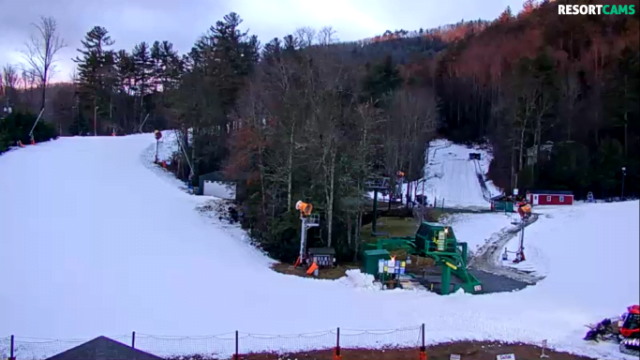 Less than 1″ of new natural snow in the forecast today. Cubb Run (beginner trail) @ Silvercreek is closed today. Timberline: 1.4″ of new natural snow . . . open until 9pm tonight. Winterplace: 1″ of new natural snow . . . open until 10pm tonight. Oglebay: 2″ of new natural snow . . . open 4-9pm today. VA saw on average 1-2″ yesterday . . .
For today . . . Mostly sunny with highs in the lower 40s. College Days Special today, $40 Slope-Use with valid ID. 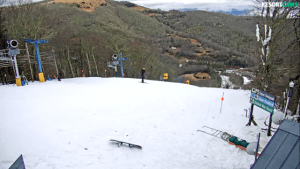 Ober saw 1″ of new natural snow . . .
Good morning! Today Mogul, Upper Bear, Cub Way, Castle Run and Ski School will open at 9am with a 29”-40” base. Temps stayed tight at the freezing mark last night, so we were unable to make snow with our traditional snowmaking system. Today’s looks like a great day! Remember we have entered the MLK Holiday weekend, so (holiday hours & rates). The terrain park is completely refreshed with a few different rails and a nice jump! 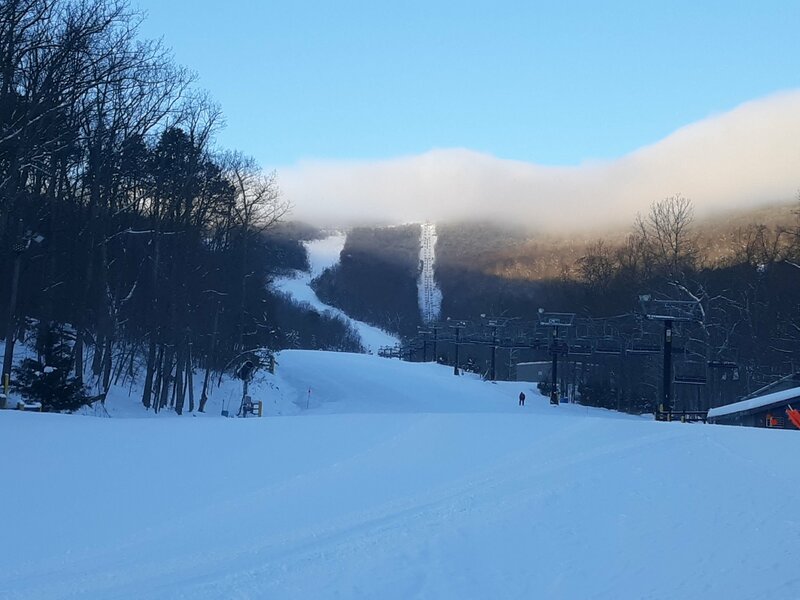 Appalachian Ski Mountain: 100% open! Lets take a look . . . Previous articleSki Southeast Forecast for 1/17/2019.